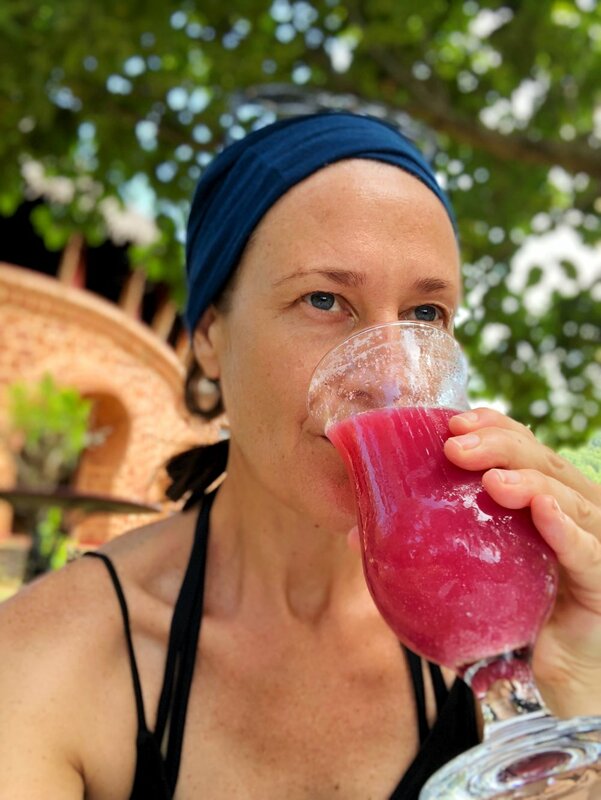 Annie is the founder of Cape Town Retreats and has run over 20 deep cleansing juice detox retreats in South Africa near Cape Town. Annie teaches Traditional Indian Yoga, a synthesis of Ashtanga Yoga and Hatha Yoga, based on Patanjali’s Yoga Sutras (Ashtanga) and Hatha Yoga Pradipika. She studies in India at Yoga Vidya Gurukul (ashram) under Rishi Dharmajyoti. Annie teaches yoga as a means to develop consciousness and to make the mind body soul connection. Annie has a love affair with India having travelled to India many times to study Yoga and Ayurveda, she has a keen interest in Indian culture and as such is the perfect person to travel to India with. Veechi is the founder of A New Leaf which is a platform for integrated and holistic healing techniques and programmes that lift people into a place of peace and harmony. She has been offering Life and Wellness Coaching, Resilience training, Women Empowerment Workshops and Mindfulness Programmes to train Individuals, Groups, Institutes and Corporates. Leveraging her rich 17 years of experience, Veechi honors the individuality of each person. She undertakes inward journeys with them to go beyond their limitations and to bring out their finest. As a wellness therapist, Veechi delivers a unique coaching solution of Management through Mindfulness, in order to create a better work-life balance for her clients. She complements her coaching, with awareness, mindfulness sessions, centering, self-knowing techniques and breathing methods. She uses body-mind relaxation, de-conditioning processes, hypnotherapy, nutrition & movement, to achieve wellness. Veechi put me at ease in her very first session - far from being a stranger, a new friendship appeared out of nowhere. I opened up so much that I barely remember being so honest even to ‘myself’ – yet she made me feel protected. I left with a sense of being completely happy after having emptied myself completely. A ‘butterfly’ - that’s how I would describe her spirit and her personality, and this is the essence that she brings to each session. She makes me connect with my non-judgmental, childlike, free spirited side. I always turn to her as my friend and healer.